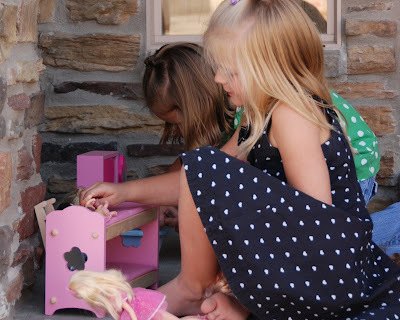 Singing and Spinning: Who needs a dollhouse? 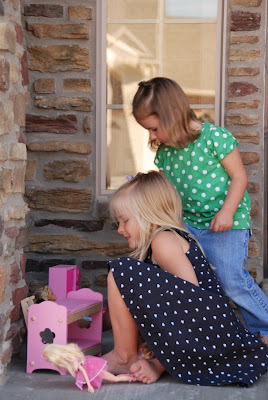 For Christmas, Santa gave the girls an amazing dollhouse (Costco rocks). 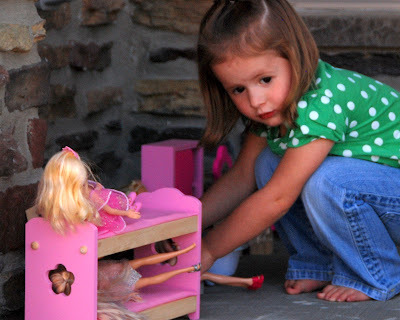 But, my girls don't play with the dollhouse nearly as often as they carry the furniture around the house. Most days some of it ends up on the porch (or front patio if you are my brother-in-law ;) ). The girls will play out on the porch all evening if we let them. It's pretty darn cute, so I, of course, had to take lots of pictures. 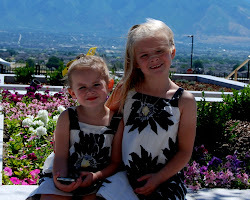 Your girls are so cute! My sister and I would do the same thing, our barbies would go camping in the backyard with us for most the summer. The girls sure now how to make good use of their "front patio"! Sweet photos.